Businesses use social media by tuning into what the world is saying about their brand or industry. Social media makes it possible to respond to these customers in real time but even with the most constant online monitoring, opportunities are often missed and crises can arise. This is where HootSuite Assignments becomes an invaluable tool. When you’re out of the office and busy, enlist the help of your team by empowering them to be the eyes and ears of your company on social. I’m going to focus on the two ways to assign messages using HootSuite: in your dashboard as well as with the Google Chrome extension. Designed for HootSuite Pro and Enterprise clients, Assignments allow you to quickly and easily assign Tweets and Facebook messages to Team Members within your Organization. With the HootSuite Assignments functionality, both in-dash and with the extension, you can easily expand your team’s monitoring capabilities so you can reply to important clients and audiences quickly and accurately. Even if you aren’t browsing your social networks within your HootSuite dashboard, you can still assign social messaging to the most appropriate person in sales, customer support, public relations, the marketing department and more. Helps to ensure no Twitter or Facebook message slips through the cracks—even in the busiest of work environments. Lets users assign Twitter updates directly from Twitter.com or Facebook wall posts directly from Facebook.com to any team member, plus include notes for information on following up. Sends assignees email notifications whenever a new message is delegated, and view assigned messages within a drop down assignment view in the browser. Allows you to monitor the progress of assigned tasks—including auditing responses for quality assurance. Upon task completion, the assignee marks the message as resolved, allowing the assignor to monitor progress the whole way through. Here are some use cases for HootSuite Assignments. Don’t let that limit you though. Assignments can be used anytime you need to share social updates with your Team. PR – Not all PR opportunities happen during work hours or while using the dashboard. If a Team Member spots something that requires attention, they can quickly assign the message to the right Team Member in order to mitigate the situation. Customer Support – Did you spot a customer question or complaint while browsing twitter or facebook? Quickly assign it to you support team to ensure the quickest response and increase your customer satisfaction. Amplify – Take advantage of tweets with a positive sentiment towards your organization by assigning those tweets to be amplified. From the launch menu on the left, click the house (Streams) icon. Locate the message in the stream to assign, hover mouse over the top-right corner, and then click the arrowhead. Click Select a Team to select the Team or the member who will be assigned the message. Click All Team Members to select the member who will be assigned the message. Optional: Type a note for the member to read. These notes can be seen by everyone on your Team. After sending an assigned post, the assignee will receive an email notification prompting them to view that post within an in-browser pop-up menu. This will allow you to monitor both the progress on tasks that Team Member has been assigned, and tasks have been completed. After installing the new HootSuite Assignments extension, HootSuite Team Members have access to an Assign To button option, located directly below each social media post on Facebook.com and Twitter.com websites. While browsing Twitter, you may find a Tweet that needs some attention (reply, amplify or resolve) – you can assign it directly from Twitter.com by clicking Assign To. Next, from the pop up menu, choose your Team, Team Member and add a note with instructions. The Tweet you assigned will be highlighted in Twitter’s streams. On Facebook Pages you will also find the [Assign To] option. HootSuite Assignments for Chrome Extension Info Sheet. Ada is a Social Media Coach at HootSuite. 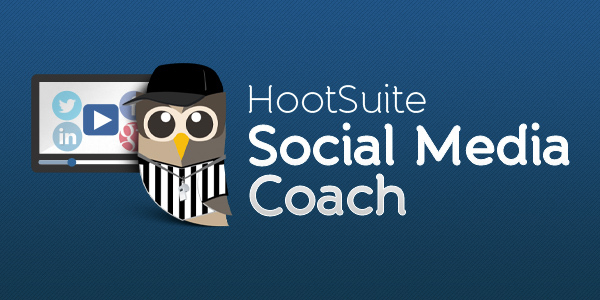 She is one of the voices behind @HootSuite_Pro and works with users to help them maximize their Pro account.